# How can my display advertising be valued from a different perspective? # Is display advertising undervalued or overvalued, under last click and last non direct click attribution model? # If I invest in display advertising, how much incrementality can display channel bring to my business bottomline? 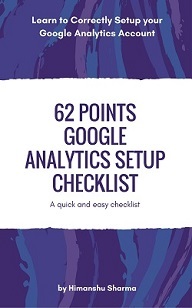 # How can I make my display campaigns more effective? 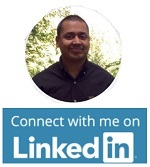 # If I change my display ad spend, how it will effect my website conversions? You can get answers to such questions by adjusting conversion credit for impressions, while creating an attribution model. 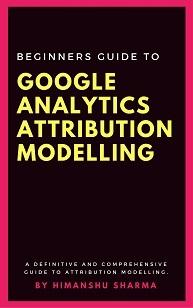 This articles is related to Attribution modelling in Google Analytics. 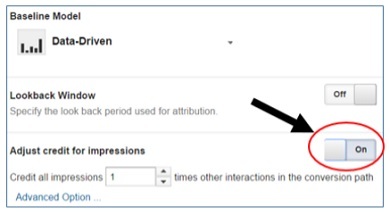 Before you can adjust conversion credit for ‘impressions’, while creating an attribution model, you first need to set up view-through conversion tracking in Google Analytics. 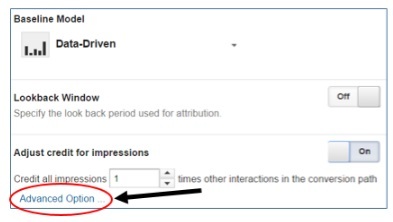 Without view-through conversion tracking setup, you won’t get the option to adjust credit for ‘impression’ while creating a new attribution model in Google Analytics. 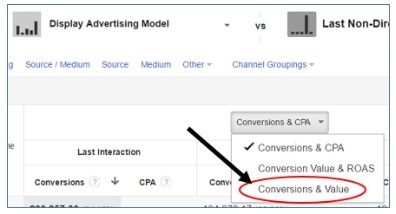 If you are brand new to view-through conversions then read this article first: Understanding view-through conversions in Google Adwords where I explained in great detail, what view through conversions are and when they are reported. Step-3: Set date range to the last 3 months or longer. 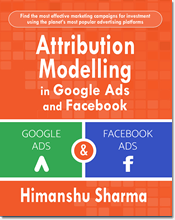 # An attribution model is a set of rules which is used to determine, how credit for conversions should be attributed to different marketing channels. 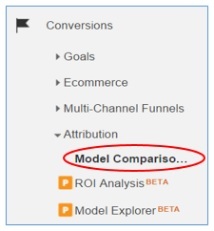 # Baseline attribution models are the pre-built attribution models available in Google Analytics. 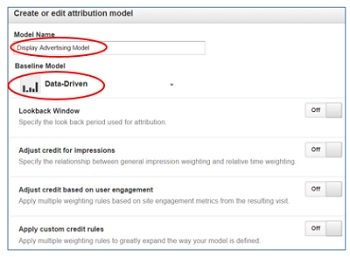 # Custom attribution models are user defined attribution models. 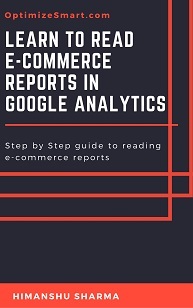 it analyse the data (related to organic search traffic, direct traffic, referral traffic, uploaded cost data etc) not only from my GA account but also from all those Google Accounts (like Doubleclick Campaign Manager, Google Adwords etc) which are linked to my GA account, in order to algorithmically generate a custom attribution model. 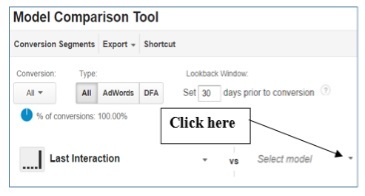 Also when I choose data driven attribution model, I do not have to worry about how to set up the lookback window option to get optimum results from my analysis. 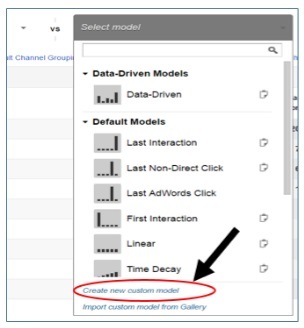 Note: lookback window option has no effect on attribution when you use ‘data driven’ attribution model as ‘baseline’ model. 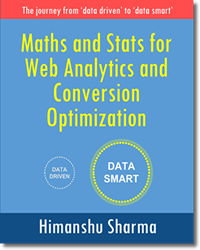 Here I have set my attribution model, to give display ad impressions, two times more conversion credit than the other interactions in the conversion path, provided the display ad impressions occurs within 12 hours before a visit is recorded for my website which results in a conversion. In other words, I have set my attribution model, to give display ad impressions, two times more conversion credit than the other interactions in the conversion path, provided a user completes a goal on my website within 12 hours after viewing (but not clicking) one of my display ads. That means I can decide which ad exposure should be valued more, based on my understanding of the context/business/marketing. More an ad impression occurs closer in time to conversion, the more effective it can be considered, in driving conversion. In other words, an ad impression which resulted in sales within 6 hours, can be considered more effective than an ad impression which resulted in sales after 1 day. Similarly, an ad impression which resulted in sales within 1 day, can be considered more effective than an ad impression which resulted in sales after 7 days. In a world of multi-channel, multi-device marketing, there are many touch points which can influence the buying behavior of a customer, in a short span of time. This makes it quite difficult to effectively assign credit for conversions to a comparatively weak touch point, such as ‘impression’. So I would suggest to keep the lookback window (not to be confused with the lookback window option in the custom attribution model) as short as possible. Form this report we can conclude that, the % of change in conversion for ‘Display’ from last interaction model to ‘Display Advertising Model’ is 398.39%. What that means, if you use ‘Display Advertising Model’ (instead of last interaction model) to distribute credit for conversions to Display advertising then the ‘Display Advertising’ deserves 398.39% more credit for conversions. 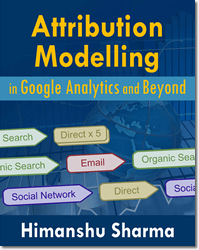 It also means that ‘Display’ is undervalued by 398.39% under last click attribution model (which is used in GA multi channel funnel reports by default), when this model is compared with ‘Display Advertising Model’. The upward green arrow next to 398.39% indicates positive change in conversions from last interaction model. 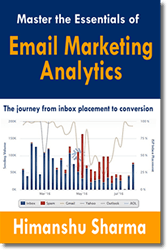 Google Analytics make an arrow coloured when the change in conversions is 10% or more. If the change is positive and is 10% or more than the arrow gets green color. If the change is negative and is 10% or more than the arrow gets red color. 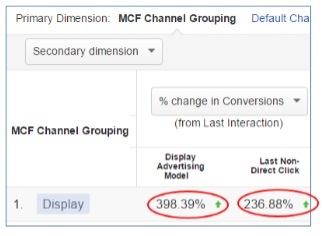 Similarly, from the report above, we can conclude that, the % of change in conversion for ‘Display’ from last interaction model to ‘Last Non-Direct click Model’ (which used by default for all GA non-MCF reports) is 236.88%. What that means, if you use ‘Last Non-Direct click Model’ (instead of last interaction model) to distribute credit for conversions to Display advertising then the ‘Display Advertising’ deserves 236.88% more credit for conversions. 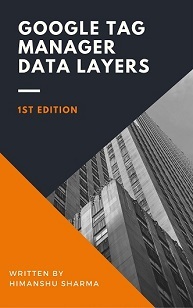 It also means that ‘Display’ is undervalued by 236.88% under last click attribution model, when this model is compared with ‘last non-direct click model’. The insight is that overall display advertising is undervalued.